Hotel Petersberg has become the Guest House of the Federal Republic of Germany. 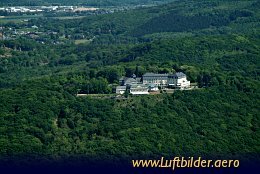 It is located on the Petersberg a prominent mountain of the Siebengebirge near Bonn. With a height of 331 meters it looks over Königswinter on the right bank of the Rhine River. The Kurfürstliche Schloss of Bonn was build as a residence of the prince-electors of Cologne in the first half of the 18th century. 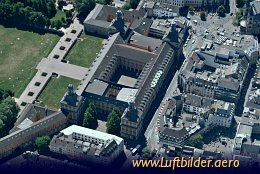 Nowadays it is the main building of the University of Bonn. 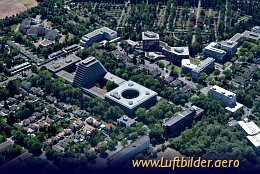 The German Museum which is located in the buildings of the Scientific Center in Bonn shows more than 100 exhibits of technical and scientific importance.